This past weekend, my family and I stayed in Fairfax, VA. My husband had an event to attend and we couldn’t find a sitter so the kids and I decided to come along for the ride and relax in the hotel room while daddy was at his event and make a mini family vacay out of the weekend. My husband took me to True Food Kitchen the next morning for brunch. He had visited True Food with his friends a few weekends prior and af first I was skeptical because when I walked in, all I smelled was the aroma of fresh green juice, and being a plus size country girl from the south, all I wanted was some bacon and biscuits. True Food focuses on all natural whole food ingredients and everything is made from scratch. 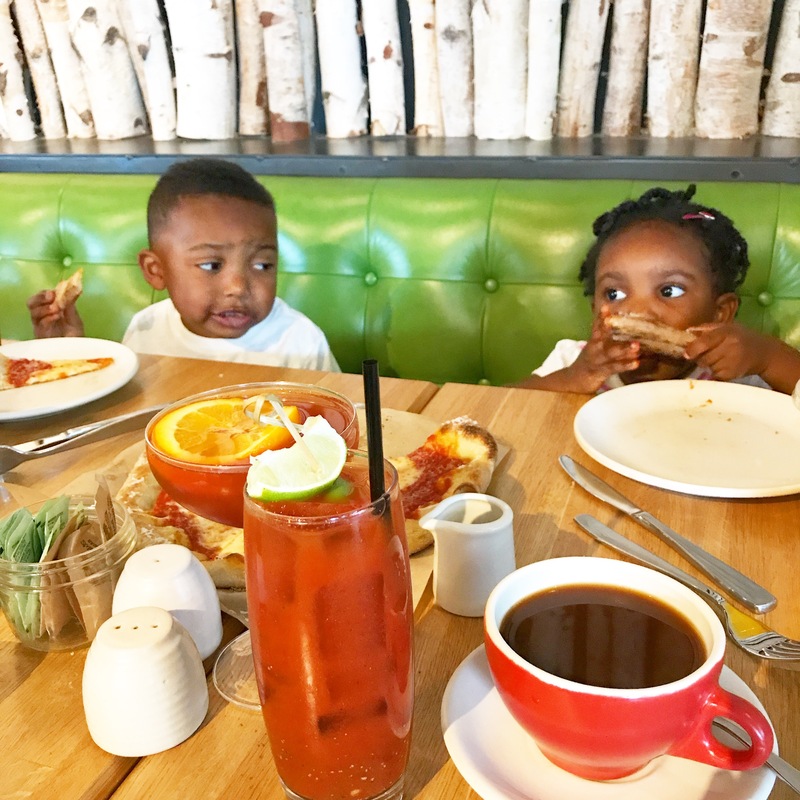 My kids enjoyed their pizza and fresh pressed juices and my husband and I enjoyed our dishes as well. I had 2 organic eggs with sweet potato hash and chicken sausage. It was so good that I was craving it this morning when I woke up. I also enjoyed my pomegranate mimosa and coffee. I definitely look forward to visiting this restaurant again and replicating some of their dishes at home. If you are near True Foods Kitchen, you should be open and give it a try. They won’t disappoint.